Two ideas for possible paper projects. The paper knight takes the original Paper Knight model and adds movement to bring him to life. My plan at the moment is to use a crank to rock the body smoothly back and forth and a cam to add some chopping movements to the sword arm. 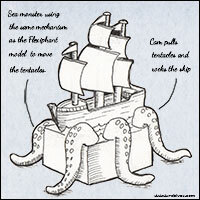 The second idea is for a sea monser using tentacles moved in the same way as the trunk in the Flexiphant model. My initial plan to drive this model would be a long crank shaft running the length of the box with separate cranks for each pair of tentacles and a final crank to rock the ship back and forth. Expect to see the Knight fairly soon, I’ve already started work on him. 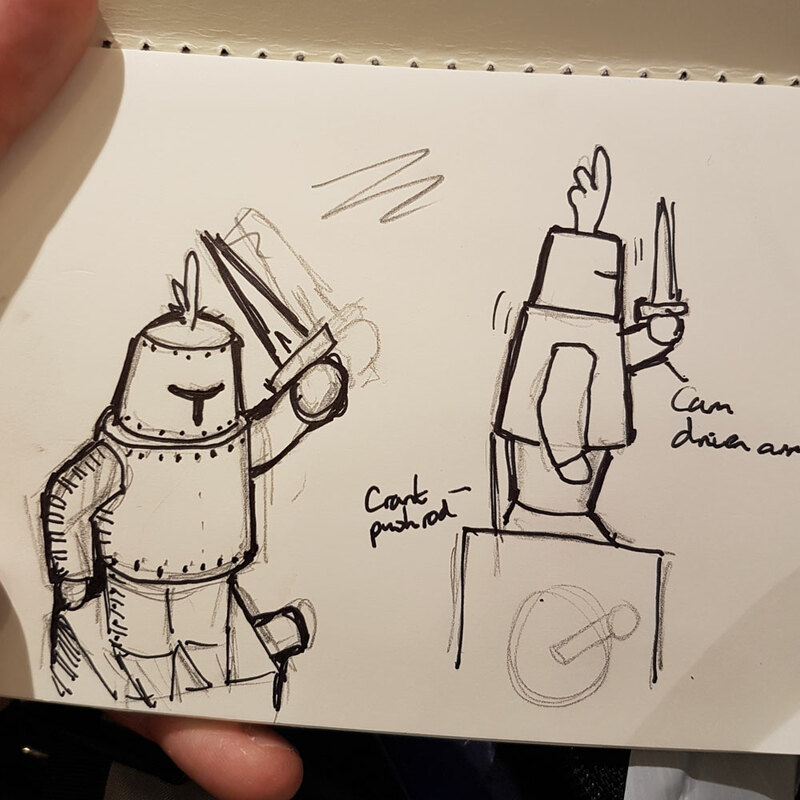 I saw the Instagram knight a few days a go and have been thinking about what movements he could make. It sounds great! In my imagination he was holding a shield and kind of going chop, chop, block. 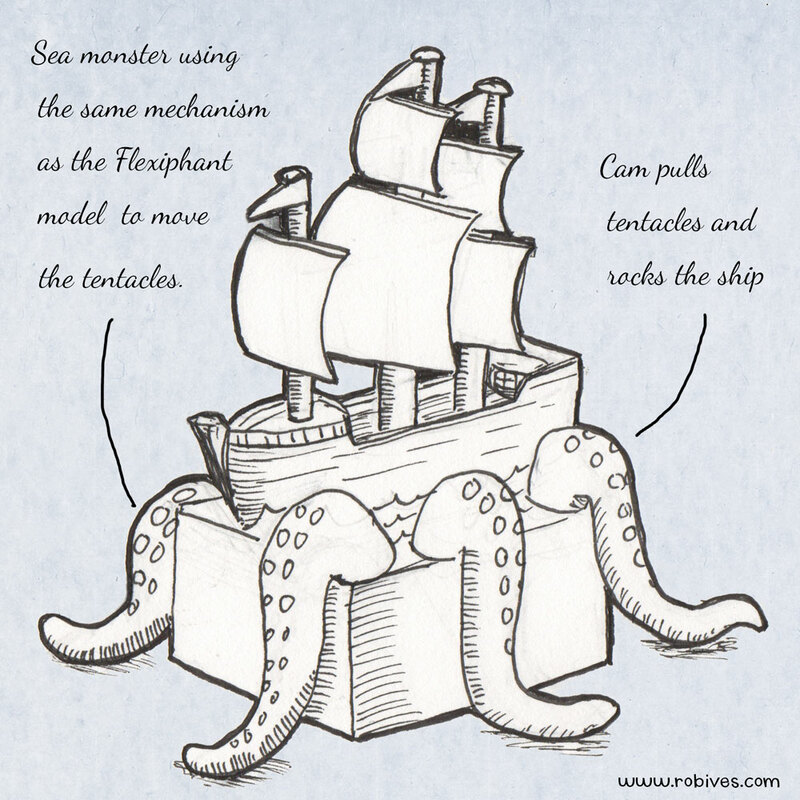 Seeing that sketch of the ship and tentacles… I am dumbstruck excited. I didn't know I wanted it until I saw it.